Posted 3 years ago Big visual changes in this update. - Search button has been added to the menu bar which allows you to search the entire website. - Complete new logo and slogan. - Removed avatar from menu bar because it caused the text to be misaligned. This may be re-added in the future. Fixed some small errors that were occurring when viewing some exercises. 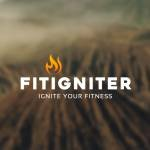 Rebrand GetFittr is now re-branding to FitWolf. Fixed bugs that does not display page numbers properly when filters are applied on exercise search and nutrient search.